The summer season in Frederick, Maryland not only means warmer weather, but also higher humidity. The high humidity of the summer means that the moisture level within your home will be much higher than normal and if it is not reduced, these conditions could lead to mold growth. There are always mold spores living within a home and high moisture levels create the right conditions to trigger mold growth. The most effective way to prevent mold from growing in your home in the summer is to reduce the moisture or humidity level in your home. Allowing any kind of moisture into your home creates the right conditions for mold to grow. Taking these actions will help keep the moisture level of your home low. If you notice a leak anywhere in your home, make sure to clean it up quickly. Serious water damage leaks should be handled by a professional. Make sure to maintain your gutters and make any necessary repairs. The ground around your home should slope away from the foundation. Make sure the drip pan and drain lines of your air conditioner are clean and unobstructed. 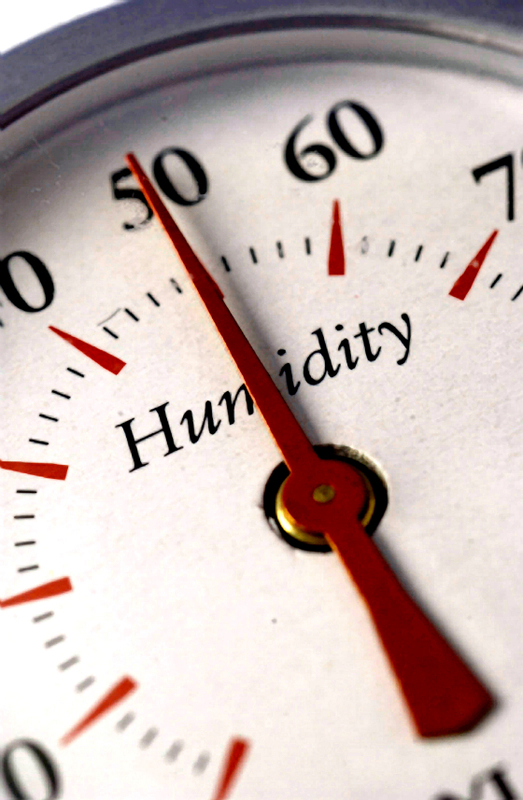 Try to keep the humidity of your home below 60 percent; you can use a humidity meter to measure the level. Make sure to wipe up any condensation that may be collecting within the home. The hot summer temperatures typically bring high humidity levels and if the humidity is not kept under control within a home, it could create the right conditions for mold growth. These tips will help reduce humidity levels. Appliances such as clothes dryers, stoves, and kerosene heaters are combustion appliances that produce water vapor and should be vented outside to keep from raising the humidity. Air conditioners and dehumidifiers will help remove the humidity from the air. Make sure to use the fan in the bathroom when showering and use exhaust fans in the kitchen when cooking or washing the dishes. Opening the windows also helps. The temperature difference between the cool air conditioning and warm outdoor air creates condensation which could also trigger mold growth. Take the following actions to prevent condensation. Open doors or windows and use fans to increase ventilation and air movement. Insulate cold surfaces such as cold water pipes. Increase the indoor air temperature to decrease the difference between the indoor and outdoor air. As the temperature and humidity levels rise this summer in Maryland, it is important for homeowners to keep the humidity and moisture levels within their homes under control to prevent mold growth. Mold can lead to property damage and need to be removed by a professional mold remediation company, otherwise it can also cause certain health problems such as allergies, asthma, and respiratory issues. Keeping the humidity and moisture under control is the best way to keep your home mold free through the summer. These are all great tips!! We often have problems with moisture, so it will come in handy!